If you’re looking to optimize your Ford Raptor’s 3.5L EcoBoost performance and drivability with a simple download, the aFe Scorcher PRO is for you. 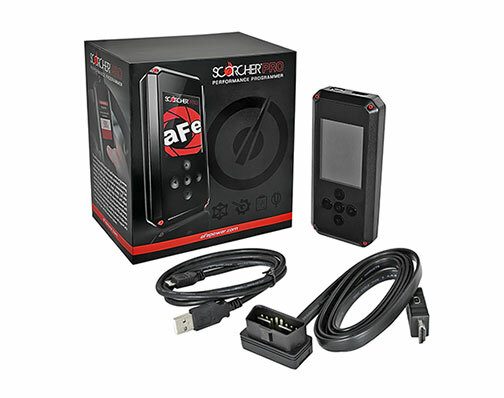 The Scorcher PRO is an all-in-one, performance programmer that downloads aFe customized tunes specifically calibrated to your Raptor outfitted with aFe POWER products or factory equipment to deliver optimum horsepower, torque and throttle response when you need it. With cloud based tune delivery and built in Wi-Fi capability, you can download aFe custom tunes whenever or wherever you want it. Simply register your Scorcher PRO and vehicle info online and aFe POWER will send your custom tunes to download for instant performance gains. We paired the Scorcher PRO with our Momentum GT Pro 5R cold air intake system (PN 54-73115) and cleaning kit for the ultimate one-two punch in dyno-tested performance gains. The Scorcher Pro performance programmer easily downloads custom calibrated tunes for your Raptor with the Momentum GT intake system installed to optimize performance gains and drivability. 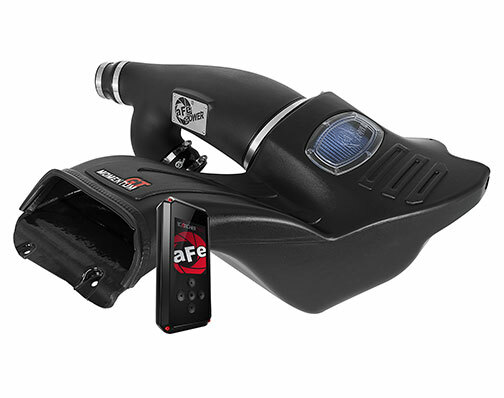 This DIY package installs in minutes and with cloud based tune delivery and built in Wi-Fi capability, you can easily download aFe POWER custom tunes to optimize your Raptor’s performance potential and drivability wherever you want it without a PC. Take your Ford Raptor to a whole new level with aFe’s Scorcher PRO RACE package. This power combo takes the guesswork out of installing aftermarket products on your Ford Raptor with the 3.5L EcoBoost by matching aFe proven products with our Scorcher PRO performance programmer. 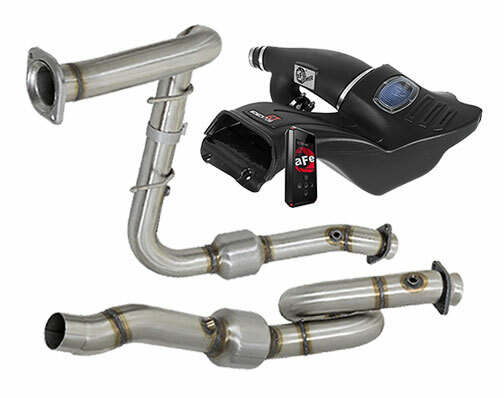 The Scorcher PRO RACE package includes; the Scorcher PRO, all-in-one performance programmer, aFe’s Momentum GT Pro 5R cold air intake system (PN 54-73115) with cleaning kit and aFe’s Twisted Steel Race Series stainless steel down-pipes with catalytic converters (PN 48-43020-HC). The Scorcher PRO readily downloads dyno-tested, aFe POWER customized tunes specifically to your Ford Raptor equipped with these aFe products for maximum power gains in one DIY performance package. Quick start how-to guide to get you up and running.